None of this was true. Both the Colonist and the Pacific Commercial Advertiser had “fake news” down to a fine art, 158 years before Donald Trump alerted us to it. However, the appearance of the story in a newspaper published 11,000 kilometres from where the event supposedly occurred demonstrates that, in the nineteenth century, “news” circulated throughout the British Empire and the world, creating and perpetuating colonial discourses and anxieties about interracial violence. Kenton Storey’s Settler Anxiety at the Outposts of Empire: Colonial Relations, Humanitarian Discourses and the Imperial Press examines these discourses and anxieties, the role of the colonial press in their perpetuation, and how humanitarian discourses stimulated public debates over the rights of Indigenous peoples on Vancouver Island and in New Zealand. Newspapers proliferated in both colonies. Under examination by Storey are, from Victoria, the British Colonist, The Press, and the Victoria Gazette in both its iterations. These were the four longest lived publications that emerged in Victoria between 1858 and 1862. From New Zealand, Storey considers primarily the Taranaki Herald, the bilingual Te Karere Maori, the New Zealander, the Southern Cross, and the Auckland Examiner. Storey argues that by employing the language of humanitarianism, colonial editors created idealised versions of public opinion, while at the same time promoting their own political and economic interests. In doing so they both drew on, and stoked, settler anxiety about Indigenous violence and what they perceived to be British metropolitan scrutiny of colonial affairs. Storey finds that the press in New Zealand, with its belief in the influence of humanitarianism and its strong connections to the Australian colonies and Britain, thought that metropolitan Britons read everything that was reported locally. This meant that they formulated their stories of interracial conflict with due deference to Maori rights as bestowed by the Treaty of Waitangi. The press in Victoria, on the other hand, which felt less hampered by the imperial gaze, had less regard for Indigenous rights, and emphasised the prevalence of Indigenous violence to agitate for the removal of First Nations peoples from Victoria. Nevertheless, the Victoria press used humanitarian discourses to try and influence colonial executives on matters of Indigenous policy. The use of humanitarian language hid anxiety over Indigenous violence, and reflected the inability of colonists to employ “coercive strategies” to assert their dominance. Storey’s work illustrates how most British colonists, wherever they sought to establish hegemony, perceived Indigenous peoples as a hindrance to the spread of British civilisation, which was, by definition, superior to any Indigenous culture. The way colonists dealt with “the native problem” varied according to how closely the colonists thought they were watched. The relative remoteness of Vancouver Island and British Columbia from the metropole meant that, in those colonies, newspaper editors could give full range to their racial prejudices as local circumstances and personal ambition dictated. Storey’s text successfully marries the discursive strategies of dispossession as evidenced in the colonial press with the actual practice of colonisation – with what happened on the ground, so to speak. He provides ample context for colonial print culture by outlining the Indigenous histories of both territories and the manner in which they were drawn into the British imperial network or, in other words, invaded. Storey gives the reader considerable insight into the motivations of colonial editors, demonstrating that, despite pronouncements of balance and objectivity, their newspapers were partisan vehicles for political ambition. This may stimulate the reader to wonder if anything has changed in the last 150 years. Writing a comparative history requires the historian to consider multiple sources and literatures. 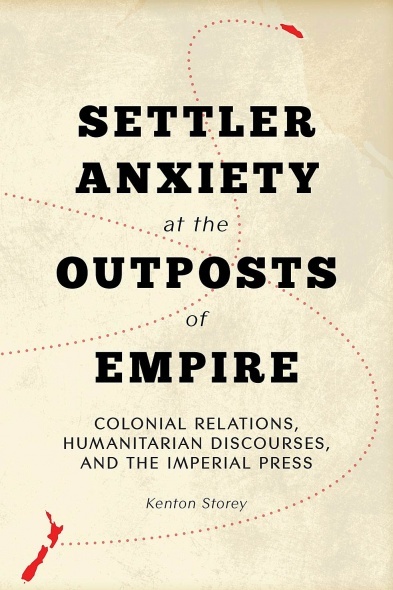 Settler Anxiety at the Outposts of Empire is meticulously researched and engagingly written. The colonial intrigues of the mid-nineteenth century are suffused with a freshness that draws readers in, as if they were reading about current events. It is a valuable addition to our understanding of the colonisation process in New Zealand and on Vancouver Island. 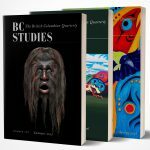 UBC Press: Vancouver, Toronto, 2016. 312 pp. $65.00 cloth.